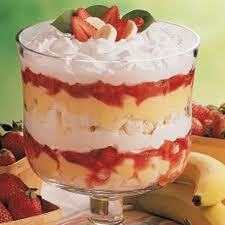 Layer in dish with fresh berries and bananas and top with some cool creamy cool whip!!! Mix packs per instructions on back with cream cheese and cool whip, layer in dish with fresh berries and bananas and top with some cool creamy cool whip!! !